(NaturalNews) Researchers from Harvard and MIT claim to have discovered the mechanism by which a specific gene variant increases the risk of obesity in a study published in the New England Journal of Medicine. Shockingly, the researchers claim that this discovery could pave the path for a way to "cure" obesity by modifying the DNA of people who carry this variant. Obesity is a risk factor for many major health problems, including heart disease, diabetes and certain cancers. As rates continue to increase worldwide, experts and the media alike have taken to speaking of an obesity "epidemic." Researchers had previously discovered that people with a higher body mass index (BMI) -- a measure of obesity -- are significantly more likely to carry a specific variant of a gene called FTO, which has in turn been dubbed the "obesity gene." In the new study, researchers examined fat samples from people with both the "obesity" FTO variant and the more common FTO variant. They found that the "obesity" variant caused two other genes -- IRX3 and IRX5 -- to switch on. IRX3 and IRX5 are known to suppress fat metabolism and cause the body to store extra fat during periods of starvation. The "obesity" FTO variant seems to activate these genes even in the absence of food scarcity. The researchers then performed an experiment in mice using a DNA editing technique known as CRISPR/CAS9, which snips out sections of DNA and replaces them with a new code. They found that mice that had the "obesity" FTO variant in their fat cells replaced with the more common variant lost weight and body fat, even when they were on a high-fat diet. "Obesity has traditionally been seen as the result of an imbalance between the amount of food we eat and how much we exercise, but this view ignores the contribution of genetics to each individual's metabolism," said senior author Manolis Kellis. "Knowing the causal variant underlying the obesity association may allow genome editing as a therapeutic avenue for individuals as risk. By manipulating this new pathway, we could switch between energy storage and energy dissipation providing new hope for a cure against obesity." 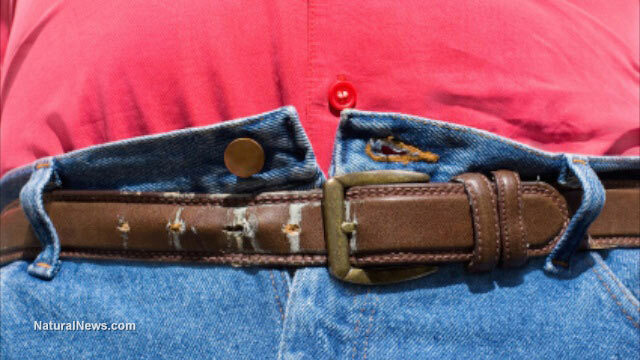 The researchers' focus on the idea of an obesity cure has led media reports to use terms such as "faulty gene" and "bad DNA code" to refer to the "obesity" FTO variant. However, this attitude overlooks the well-established fact that even gene variants that produce negative health effects might also provide important benefits. The most famous of these cases is the variant that produces sickle cell anemia in people who carry two copies of it but confers resistance to malaria in people who carry only a single copy. In the case of FTO, the fact that 40 percent of Europeans and 42 percent of Southeast Asians carry the "obesity" variant certainly suggests that calling it a "bad" gene is a gross oversimplification at best. Aside from the risk of unintentionally removing an adaptive gene variant, genetic modification to "cure" obesity or other conditions carries other serious risks. According to molecular geneticist Michael Antoniou, new genetic engineering technologies such as CRISPR/CAS9 are still very imprecise and carry the risk of unintended side effects. This risk is only compounded by the complex way in which different genes interact. "Gene function and the biochemical reactions they lead to are finely balanced," Antoniou said. "If you simply disrupt ('knock-out') a gene function by gene editing you will inevitably (I would say) lead to unintended disturbances in biochemical pathways other than the one you are targeting."